Over the summer, the M Shed staff and Volunteers have been restoring another of the preserved wagons in the BHR’s fleet. 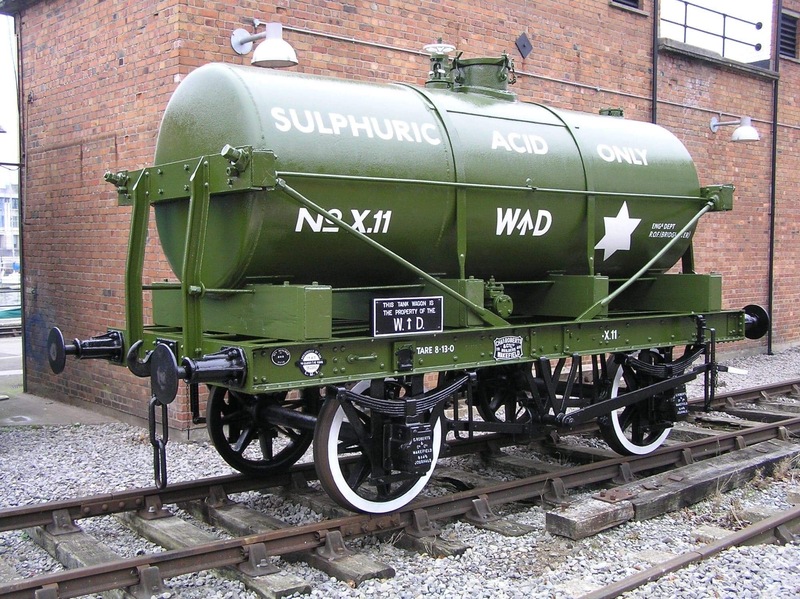 The ex-WD Sulphuric Acid Tank Wagon, built in 1940, had the tank lifted off the frames for new plates to be welded on – corrosion had come through in the areas where the tank sits on its cradle. It’s now had the plates welded in (shown here in green gloss) and is in primer. The frames and supports for the tanker have been worked on in the running shed and are shown here looking rather smart, along with appropriate works plates.